and mounted it onto some yellow card. Ha, ha - great card Nicky! 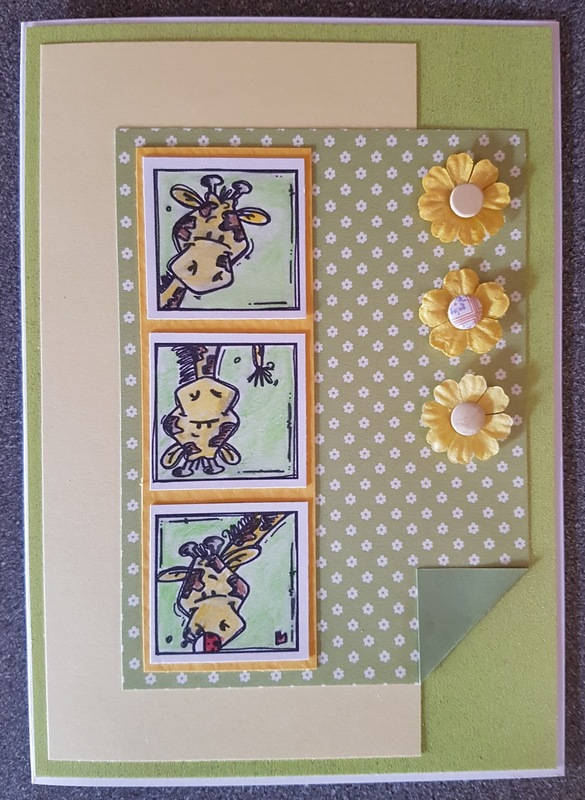 Love the design and the quirky giraffes too. Great use of those snippets you found as well! And I did smile at the post with Stanley hiding - daft dog :) Maybe he thinks if he can't see you then you can't see him? a very charming card idea! Love the design! Thank you for playing along at Penny's Challenges. 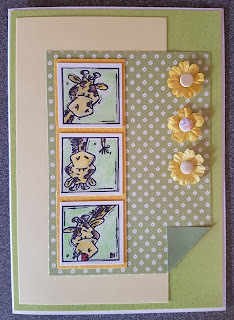 Super cute images and card! Thank you for sharing with us at the Sparkles Monthly Challenge.